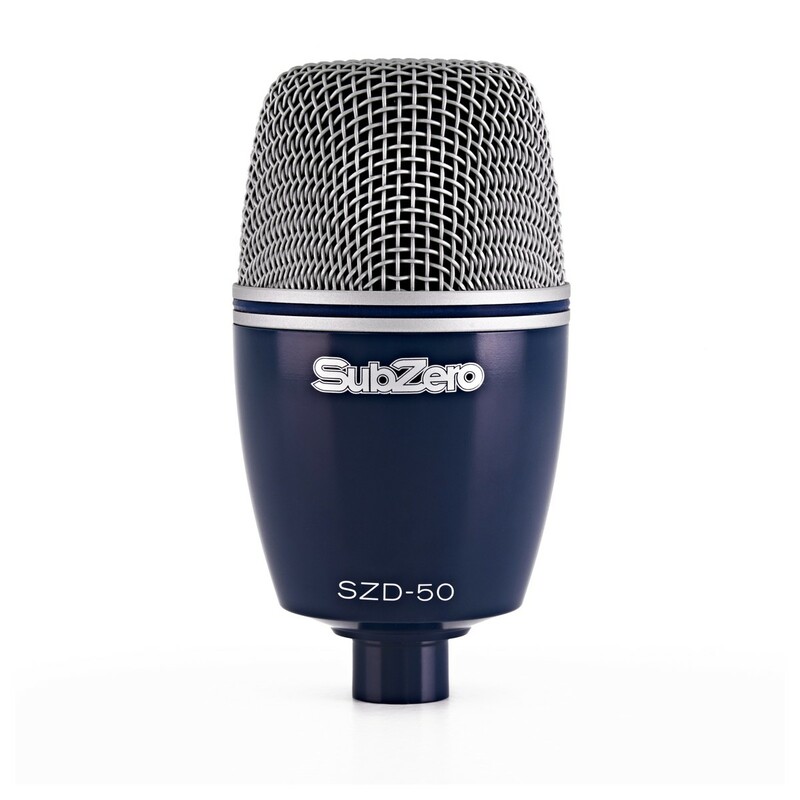 The SubZero SZD-8000 drum microphone set is a fantastic way to mic up your drum kit, for live and studio settings. 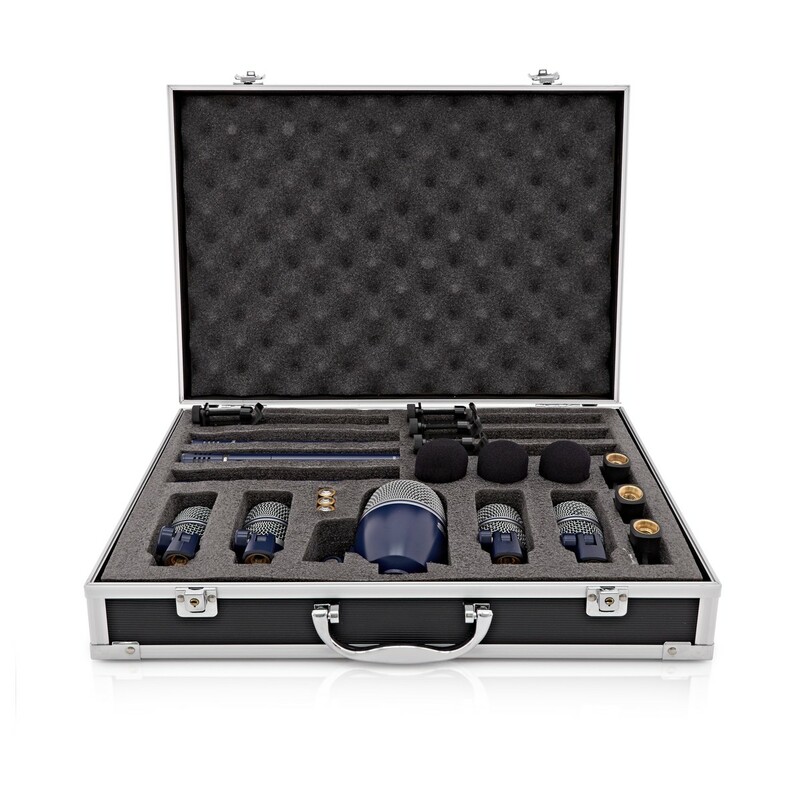 Featuring eight high quality microphones, clips, windshields and carry case, this set has everything you need to record your music. 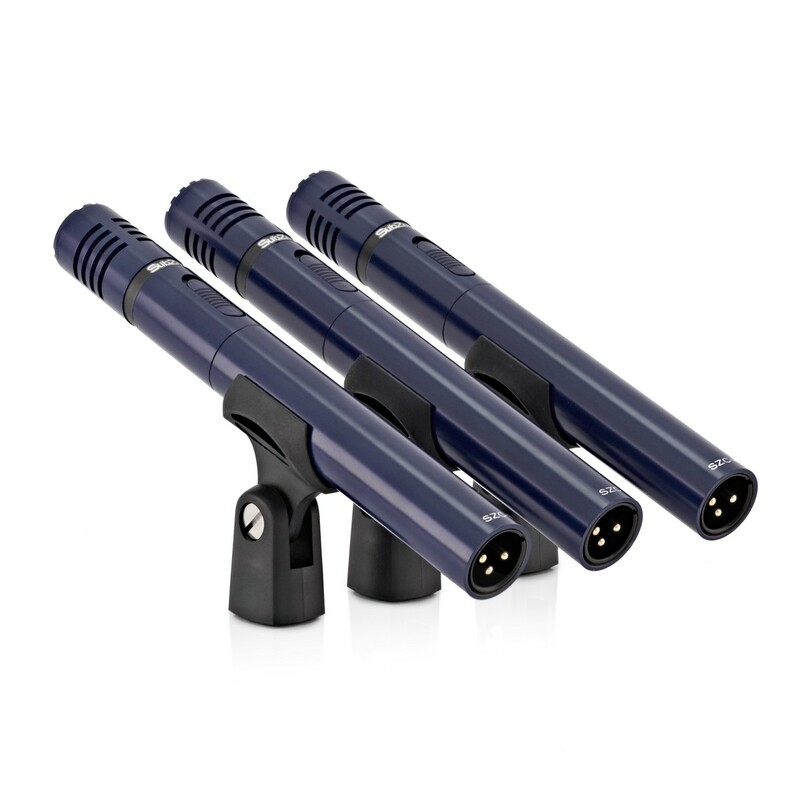 All microphones are built in to a rugged metal chassis for exemplary protection and are covered in an attractive dark blue and chrome finish. 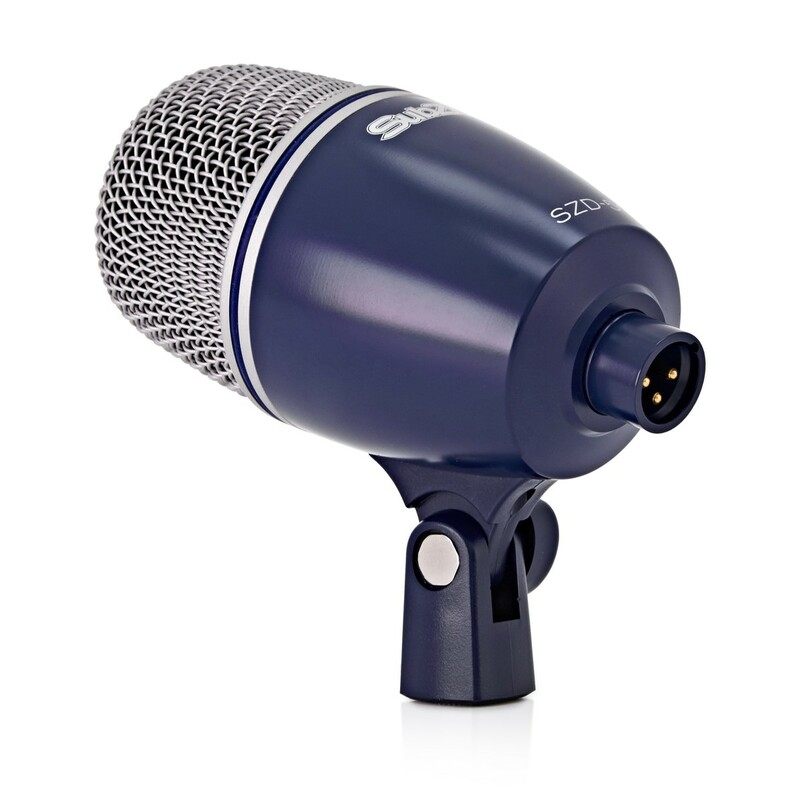 The SZD-50 bass drum microphone is a large diaphragm dynamic microphone especially suited to recording low frequencies. With a frequency response between 30Hz and 15KHz, the SZD-50 cardiod microphone will make sure that you can always get the best out of your bass drum sound. 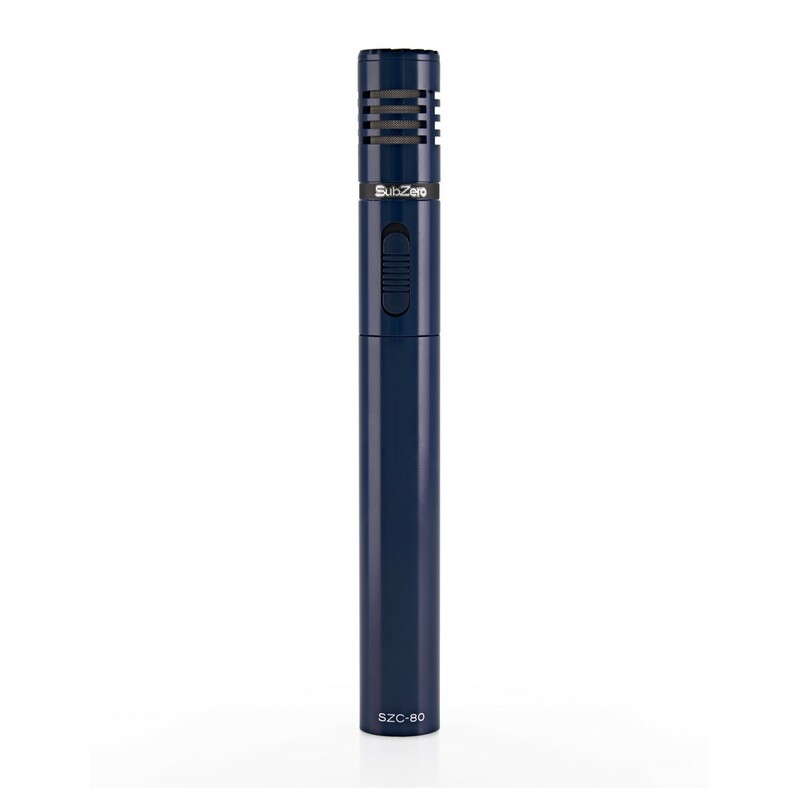 Suitable for all kinds of instruments ranging from toms to snares and even auxiliary percussion, this cardiod dynamic microphone offers a great sound replication with a natural and warm colour. 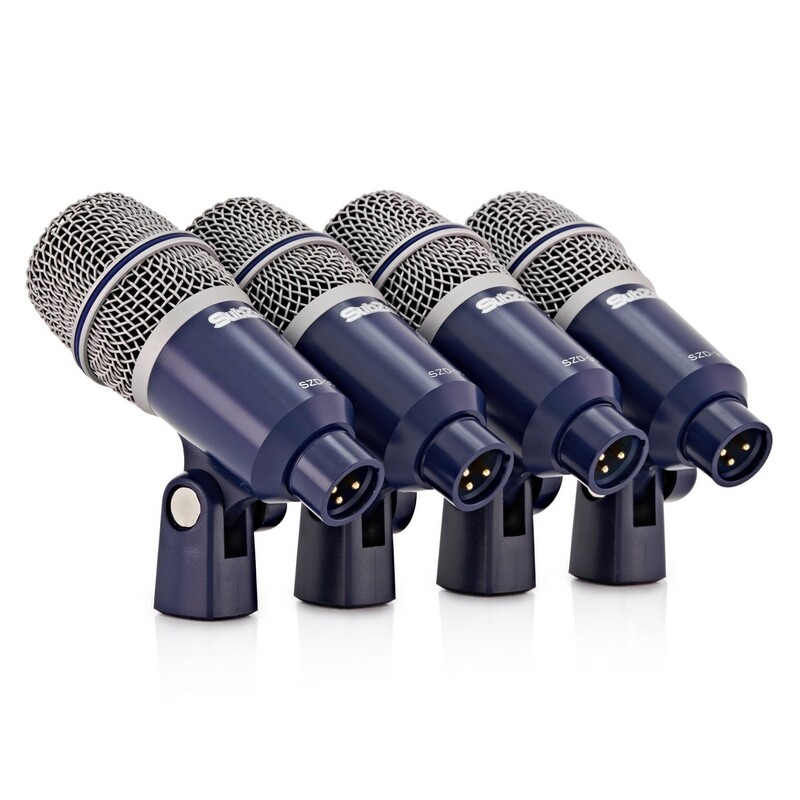 The wide frequency range of this microphone lends itself perfectly to recording drum kits, and its strong diaphragm means that it can withstand even the hardest of hits. 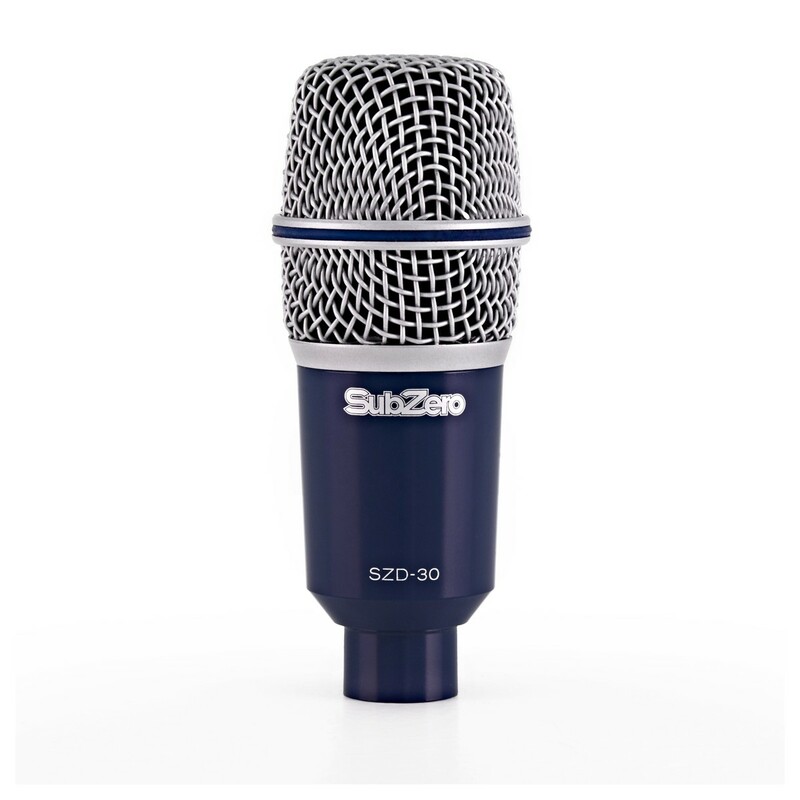 The SubZero pencil condenser microphones are ideal for catching the sounds of cymbals and overall drum kit noises. The cardiod polar pattern and improved higher end frequency range makes it ideal for recording cymbals with vibrancy and character. 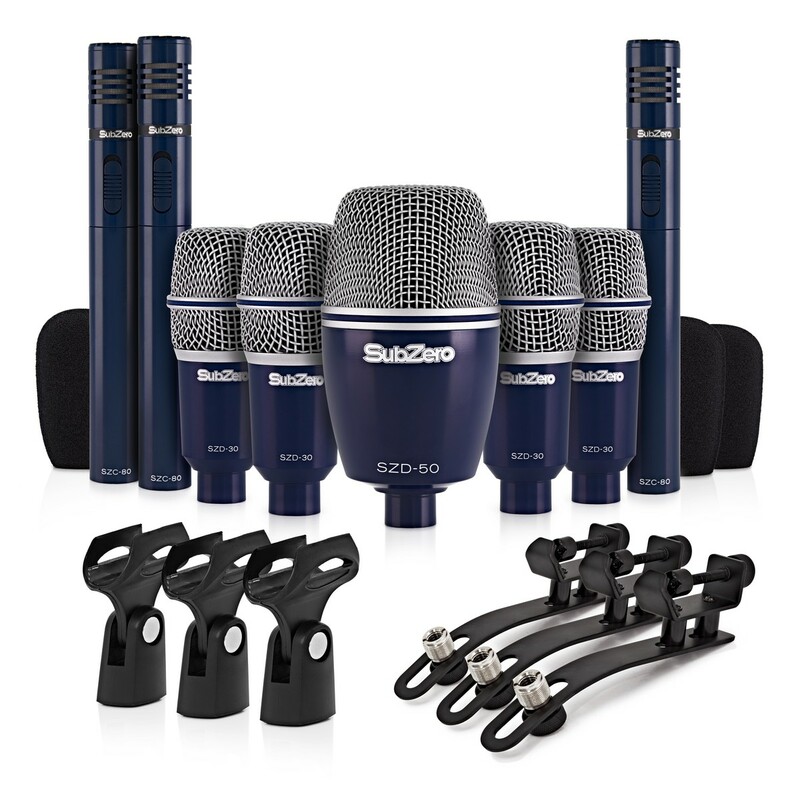 The SZD-8000 Drum Mic Set also includes a set of microphone clips to ensure that you can connect up to microphone stands quickly and easily. The dedicated rim mount clips are perfect for attaching to the rim of a drum for a space saving way of mounting up hard to access drums. 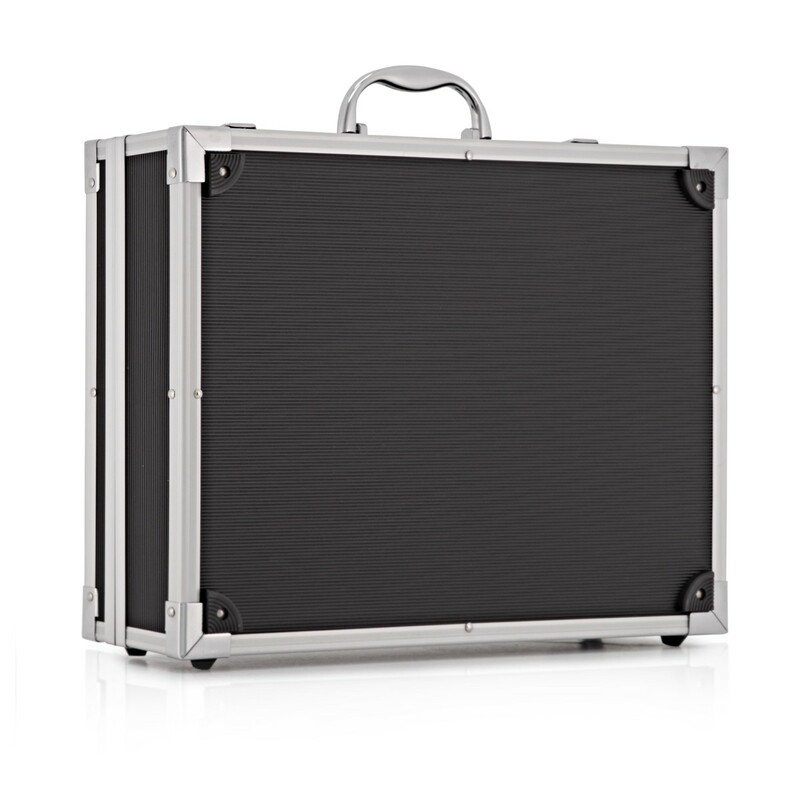 The windshields are suitable for the SZC-80 condenser microphones, ideal particularly when playing at loud volumes. All of this comes in a moulded carry case for easy transporting.